2008 FIRST Lego League | School Business Partnerships of Long Island, Inc. 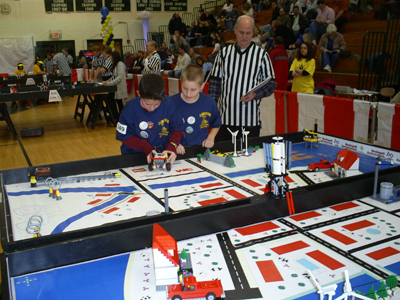 Participants compete in the 2008 FIRST LEGO League Tournament. Pictured is Berner Middle School’s Team Elite 1337 of Massapequa, NY. 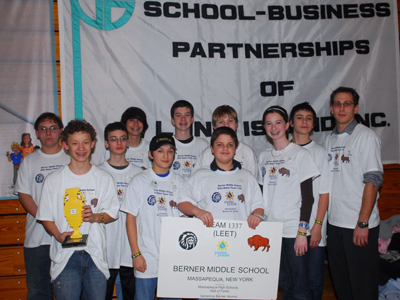 They stand victorious as the champions of the SBPLI-LI FIRST LEGO League Tournament in 2008.